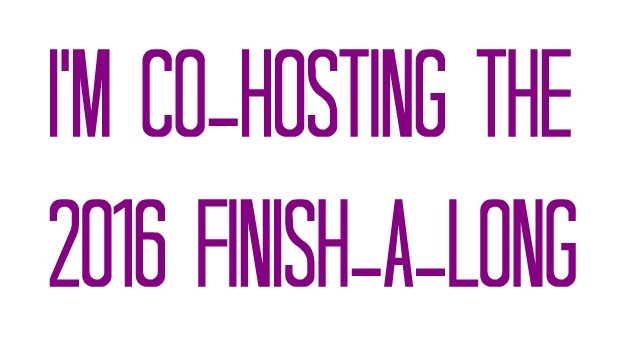 Finish Along 2016 Quarter Four - link up your finishes here! 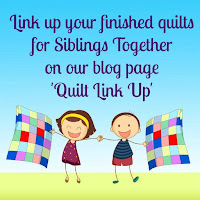 The Q4 Finishes link will stay open from now until January 7, 2017 - link up your finishes early and if you have a last minute one, add that one later so you don't miss out. The prizes will be awarded as soon as we can verify all the entries and do the drawings. 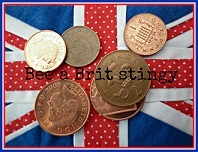 We will post the winners on each hosts' blog. Please join Leanne from She Can Quilt and I next month to link up your scrappy project or thoughts on taming your scrap mountain on the second Tuesday in January, January 9, 2017. 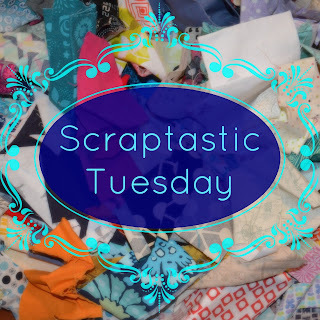 Scraptastic Tuesday - December Link Up! Look here ! I have at last got my act together and am going to quilt my scraptastic sampler 2016. 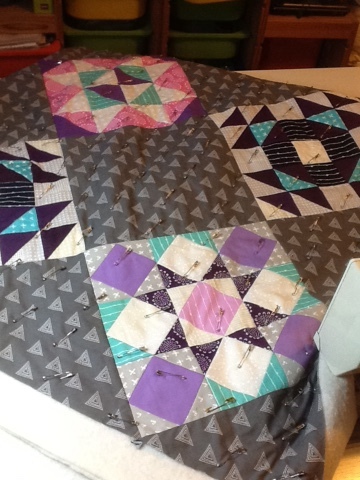 It is all pin basted and I am starting off by quilting in the ditch. After that I'm not really sure where it will go but I'm sure the quilt will let me know! Yes it's the second Tuesday of December, and the Scraptastic Tuesday monthly link is open, see below. This is of course the last one of the year but we will be back again in 2017 for more scrappy fun.